Before we dive into exploring easy content asset ideas I want to remind you about something. 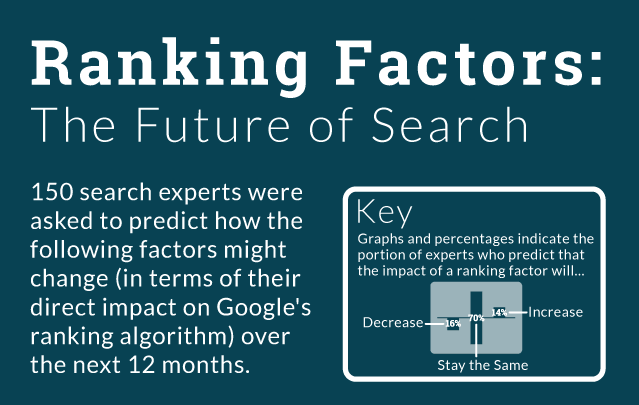 Back in March 2016, Google’s Andrey Lipattsev revealed that links, content, and RankBrain are the top 3 ranking signals Google use in their Search Algorithm. This was revealed during a Google Q&A hangout session below. Tip: The session lasted over 1 hour. Jump to 3 minutes 20 seconds to here Ammon’s question about the 3 most important ranking signals and Andrey’s response. With this in mind, as SEO’s we need to constantly remind ourselves of the importance of creating linkable content assets for our clients, especially when you’re trying to acquire mentions as part of a link building campaign. Linking solely to money pages using exact match anchors is a risky strategy as you know and whilst in the short term this slightly aggressive approach may yield results, in the long term, this can be risky. 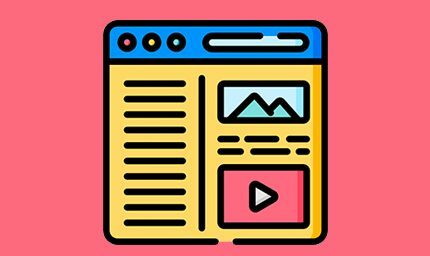 Content assets are pieces of content designed to be used and distributed to attract new customers and traffic to your website. So, before you attack next weeks or months link building strategy for your clients ask yourself the question. ‘Why would someone (a blogger or another website) link to one of my client’s web pages?’. 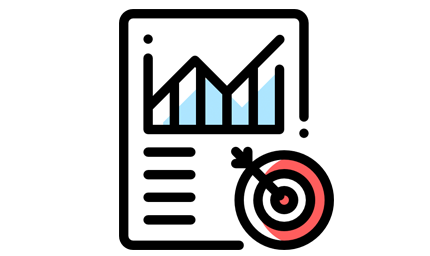 In this post, we are going to give you content asset ideas to give you opportunities to yield a more natural link building profile for your client. This approach essentially makes up the ingredients that form the top ranking signals Google use in their search algorithm as mentioned above. Infographics are nothing new, nor is it done to death in my opinion but it is one of the easiest content assets to leverage. I’m not condoning that any SEO put out crap content, however, coming up with a concept and gathering the research, facts, and stats to back it up can take as little as 1 hour. We did the exact same with this infographic and still to this day this content asset generates us links, shares and social engagement from all over the world. The idea with infographics is quite simple. Come up with an engaging, interesting and maybe even a timely topic for your client’s industry, do some basic research in the public domain to find interesting facts and stats to back up your concept and then produce a graphic that is visually pleasing. 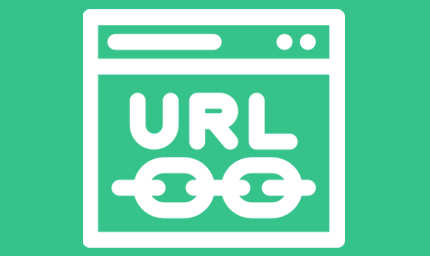 To get links you’ll need to publish that infographic on your clients website, either as part of an existing page or even just a new post in their blog section and then use this as part of an outreach campaign to encourage bloggers to share and link to you and even push it out to your clients social media channels to gain some traction. If your client is in a typically boring niche and your struggling with ideas, then go a little broader with your concept so it appeals to a wider audience. Need an Infographic Designer? 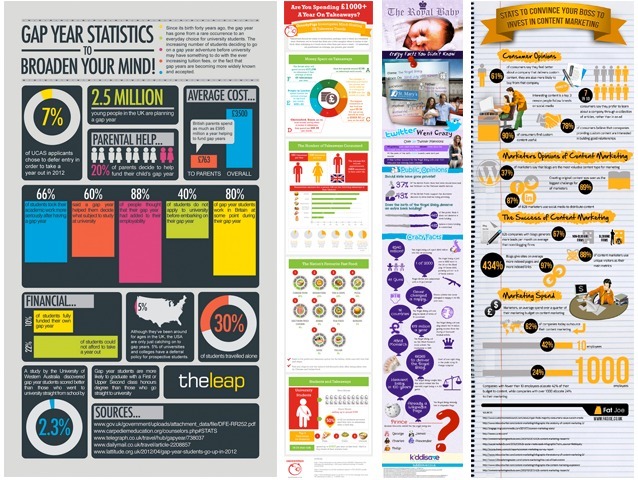 FATJOE offer an Infographic Design Service from start to finish in less than 10 days (and we’ll even do the research)! The definition of an Ebook is ‘an electronic version of a printed book that can be read on a computer or handheld device designed specifically for this purpose.’ Now in the online world and for the purpose of branding and marketing most websites today will create an Ebook without ever having a printed version. When you’re using an Ebook to gain online exposure, brand awareness and as a by-product in most cases gain ‘links and mentions’ then there’s really no need for a printed version. Derek Halpern of SocialTriggers.com uses Ebooks cleverly to continually build his email subscription lists. In the same way he uses ebooks to gain email subscribers you could leverage the power of Ebooks to generate links and mentions for your client’s website. You can even gain some traction by advertising the free ebook on social platforms in exchange for an email address or some other information that will be useful for you client. Creating free tools for your target audience is a great way to not only generate links and mentions on the web but also to build email subscriber lists or capture other information about your users. 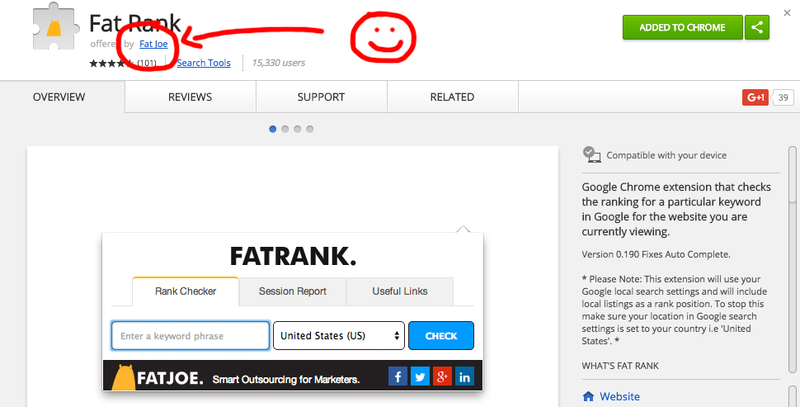 We created FATRANK (image above) as a free Chrome Extension for SEO’s to quickly check ranking positions in Google of the website they are viewing. To date, this tool has more than 15,000 daily users (as I write this) and has generated links and mentions from a number of authoritative websites and brands in the industry. Conducting Surveys and Studies is one of the most neglected opportunities for links we see in industries and niches other than SEO and Marketing. Whilst the process of creating a survey and then gathering and collecting responses is difficult and often time-consuming, it can be a very powerful opportunity for a business to put itself at the forefront of being an authoritative source and benefiting from links and mentions for years to come. In the SEO industry, we often see surveys like this one by Moz being conducted amongst industry professionals to gather their insight in the future of SEO. Not only do these surveys tend to gather traction across social platforms but when results are published on a web page or in a blog post you often see these pages being linked to from other websites covering topics surrounding search ranking factors. These surveys tend to be timely so you’d expect a rush of links during that time period and then this will tail off as the results get old. To increase your opportunity for links and mentions think about doing something like this yearly for your clients. Vlogging is a fantastic way of increasing your brand awareness and given the fact that video will probably account for more than 82% off all IP traffic by 2021 it’s certainly a marketing method you cannot ignore. Before video becomes the norm, adopting video marketing methods now will give you the opportunity to benchmark yourself or business at the forefront of your industry and create more linkable assets not only on your website but across your social media platforms. Publishing vlogs as opposed to just written blogs is a great way to connect with your audience and attracts more links and mentions from other websites. 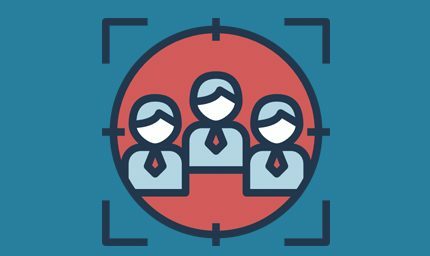 Right now you can also benefit from publishing vlogs by uploading these to video hosting sites such as YouTube and Vimeo and piggyback from the search traffic that exists on those platforms. You can even create video channels such as this one for users to subscribe so that they get notifications every time you publish a new video. 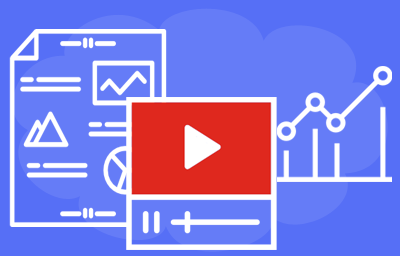 Another great advantage these platforms have is that you can easily embed videos into blog posts. This increases your chances of being referred to or mentioned in blog posts. A resource page is a page on a website that lists helpful links, resources, and information about a specific topic. It should be easy to navigate, clear and concise and simply give users bitesize information about the source or web page you are referring them to. In the image above, the website 100 Days of Real Food have a page listing links to lots of different recipe ideas for different meals of the day. 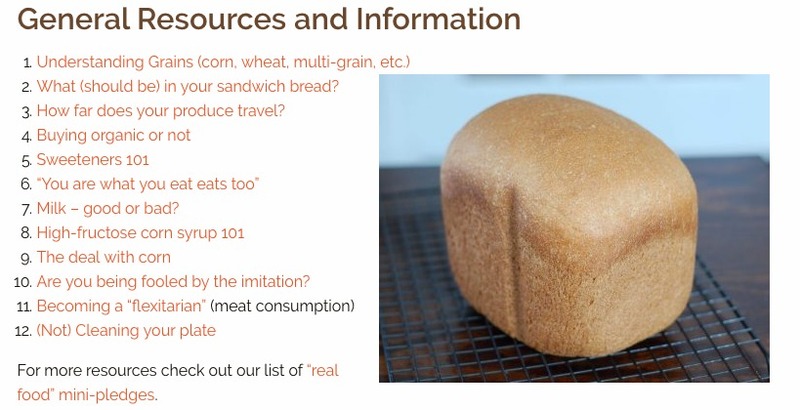 What’s good about these resource pages is that they are seen as a credible source of information and this in itself can create lots of link opportunities in the future. You could use this to your advantage when reaching out to bloggers and once this page becomes what we called a ‘Ranking Asset’ (ranks highly within Google for its subject) then this evergreen piece of content will gain links and mentions from websites for years to come. Perhaps now’s the time to evaluate just what Content Assets your website or brand has!